Peter Sellers has done some wonderful roles in his life time. 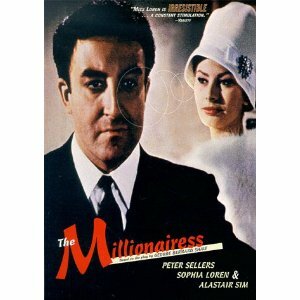 In 1960 he starred in the movie “The Millionairess” with Sophia Loren. 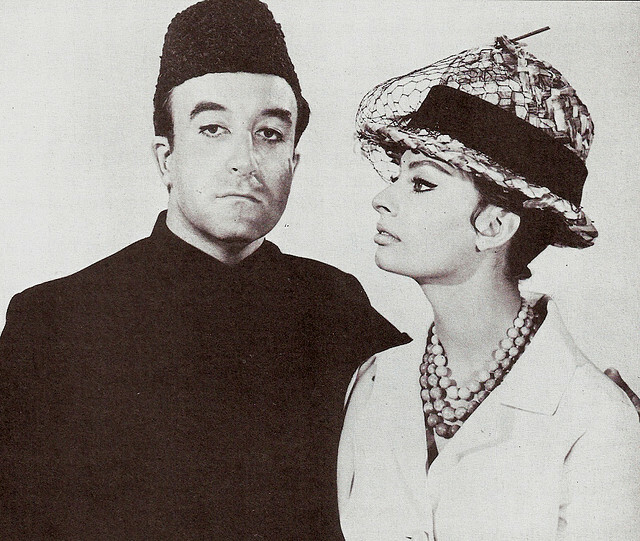 It is a hilarious comedy in which Peter Sellers is an Indian doctor living in London and Sophia Loren is his millionairess patient. She has fallen in love with him and feigns all kinds of illnesses to come and see him. There is a great song from this movie called “Goodness Gracious Me!” which was a hit, particularly in India. It has hilarious lyrics, e.g. When I was a teenager in New Delhi this song used to play on the radio a lot and hearing it again it brought back big memories and I laughed hard once again as I did in those magnificent 1960’s and my college days. How fondly I remember them! I’m appending a YouTube rendering of this song below. Please watch and you will love it. Also rent the movie, The Millionairess if you can find it. It’s a lot of fun. This entry was posted in Fun, Old Movies, Travel, Vacation and tagged Comedy, Fun. Bookmark the permalink. Peter Sellers – a true legend! Very delayed response, but how my entire family loved that song! Those who enjoy this song will fall in love with “The Ladies of Calcutta” by Peter Sellers. Check it out on U-Tube.